If you are looking for something different, surprising and entertaining, then this is the tour for you. You will start after sunset when the lights go on and the city shows its most romantic, charming and wildest face at a time. 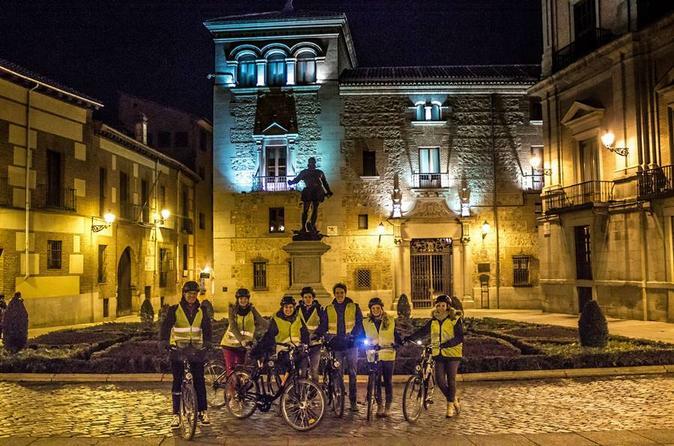 You will like Madrid by day and it will captivate you by night, and even more if you are on the bicycle. Once you meet your guide at 8pm, you can get ready for a bicycle adventure. This tour will give you an overview of Madrid´s most popular tourist attractions like Royal Palace, Plaza Mayor, Puerta del Sol and the great Retiro Park, all illuminated at night. You will enjoy several stops and a 10-minute rest-break halfway through the tour.